Catbeard Valentines! (1 of 2) – Catbeard the Pirate! Download the card front image here! Download the card back image here! 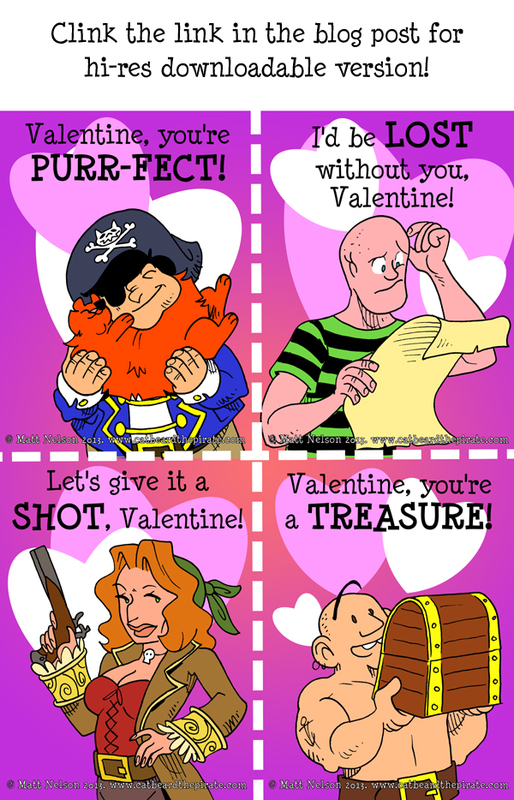 So this week’s updates are going to be hi-res Valentine’s Day cards that you can print out, cut and give to your friends (or enemies! Why discriminate, I say). Please feel free to distribute them wherever you please, and consider linking back to this post on your site if you’d like to spread the word about Catbeard and these free cards! Happy Valentine’s Day! I love you all.